Spiritual Memoirs: The Truth is Out There! When our daughter was a pre-teen, she wanted to put up a poster in her room. We agreed she could decorate her room how she liked, expecting her to pick a musician or actor, but after perusing the choices of posters available, she settled on a simple black and white photo that didn’t reference any movie or TV show, it simply held the words: “The Truth is Out There!” She hung it near her door and every night after tucking her in, I’d turn around and face those words. Truth is . . . there is no easy way to go about seeking the Truth. Still, we do. For most of my life I have embarked on this quest. And along the way, I have greatly appreciated reading the words of people who have traveled the path before me. This is truth told not as a dogma, not as knowledge to be understood, not as something to line up with but as a story to inspire us on our own journeys. I love when people share their life stories, their hard-earned “truths”—telling as best as they can what they discovered, what moved them, what real-life struggles they encountered along the way. I guess you could say I loved “memoir” before it was a popular genre. It started early at age 8 when I read Little House on the Prairie, by Laura Ingalls Wilder. Over the next four years, I read all of the nine books she wrote, immersing myself in the life of a pioneer, struggling against physical odds, braving new territory, crossing America in a covered wagon. Her story captivated my attention. It was real. It was true. It could have been me! Over the following years I was drawn to other true stories, rushing to read the “Drama in Real Life!” stories reported in the Readers’ Digest Magazines as soon as the latest issue arrived, wondering how I would cope with having my arm mangled in a farm’s thrasher, or whether I could beat off a shark attack. Sometimes I read stories closer to home like Anne Frank: the Diary of a Young Girl, which was particularly compelling for me because my own mother had been a young child living in Holland during World War II. My mom’s family hid Jews in their house during the war and my grandmother worked for the underground, smuggling weapons—but we never talked about it. At 13, I travelled abroad for two months to visit family. Some of my strongest memories of that visit relate to the two books I read during my stay: Papillon—a memoir by a purportedly falsely convicted felon and fugitive describing his escape from Devil’s Island and how he stayed sane and kept fit during solitary confinement—and the other: Coffee, Tea, or Me?—(alleged) memoirs of the licentious lives of two stewardesses. As I was coming of age that summer, my reading material was quite adult inspiring me to be self-disciplined and brave, relentless in a pursuit of freedom and inviting me to reach out and connect with others in ways as yet unexplored. Eventually, I became interested, particularly, in Spiritual Memoir. Was there a deeper truth to be discovered? Was there something other than the highs and lows of the material mainstream world worthy of seeking? Was there a freedom that came from inner peace? Was there something like fundamental connection with everything? Was mysticism real? But most importantly, were there people who had set out to answer these questions for themselves—who had set out seeking enlightenment or self-realization—and written about what it was like along the way? People who could show me from the ground up, from the inside out, what a spiritual journey looked like and felt like. Ultimately my reading forays into spiritual memoir have been fundamentally important on my journey, providing inspiration and direction as well as useful bewilderment—getting me out of me head, out of my own limitations. Always I am searching for more—not more stuff . . . or success . . . or fame, but more intimacy, more connection, more mystery, more awe. These things I frequently find in the pages and between the lines of spiritual memoir. When I first read this book I couldn’t believe I had never heard of it before. It opened my eyes to an eastern perspective—a completely different way of looking at the world from the American White suburbia where I grew up. I immediately thought it should be required reading in school. This along with later of Carlos Castaneda’s books introduced the idea of pursuing “enlightenment” and opened my eyes to the possibility of piercing the veil. I am forever indebted to Carlos for inspiring me and my husband to start seeking. Of all the books on this list, this one is closest to my heart and probably the least known. Franklin Merrell Wolff was a Harvard educated mathematician who began studying consciousness in the early part of the twentieth century. This book is the journal of his awakening. In it western science meets eastern mysticism. Although I am a heart-centered person, the erudite and meticulous chronicling of his journey soothes my soul and takes me to Stillness. Another lesser-known spiritual memoir, this book was written by one of my current spiritual teachers, Joel Morwood, who had his own awakening and then spent a year living with Franklin Merrell Wolff. Joel is the real deal. Check out the Center for Sacred Sciences in Eugene, Oregon and his latest book The Way of Selflessness. This wonderful story made me have the courage to write my own story and led me to John Hunt Publishing, for which I am so grateful. It is told through the eyes of an ordinary suburban girl, who embarks on her own very unique journey to fulfillment. An outrageous compelling true story about a journalist investigating snake-handling churches. Ultimately and unexpectedly, he discovers his own unshakable faith among them. This one still sticks with me. This is a sweet true story by the author of Writing the Sacred Journey where she shows us how to share our most challenging truths (in her case her bisexual identity) while leaving us feeling the fragrance of love for all parts of our lives, even those that don’t perfectly match up with our truth. Sara Beak’s writing is unfettered and reading it had the same effect on my soul. She reminds me that I too am Red, Hot and Holy. Required college reading, this book helped me appreciate that my non-religious, non-mystical, non-visionary upbringing was a product of cultural conditioning not necessarily the Truth. Who doesn’t love the easy-going “girl next door” voice of Gilbert in this lovely memoir? When this book came out, several people contacted me saying I needed to write my story because we had a similar style, which helped encourage me to start writing again. When I first reached out to my content editor in the early stages of More I asked if she would be interested in working on a book that I thought of as Eat Pray Love meets Fifty Shades of Grey . . .
As a writer, Natalie Goldberg’s Writing Down the Bones, inspired me in ways other books for writers had failed. Ever since, I’ve been a Natalie Goldberg fan. But this book took me into the heart of her commitment to both writing and sitting, and as I, too, find the two utterly complementary and intimately tied to my own journey, I greatly appreciated her memoir. Caravan of No Despair drew me in and kept me captivated. It’s like reading Jeannette Walls’ “The Glass Castle,” but for spiritual seekers. The searing honesty of Ms. Starr’s sometimes disturbing personal journey reveals both the sacred and profane linings of an alternative lifestyle—one I once deeply coveted—yet also allows the reader to trust the moments when we feel, through Starr’s telling, the transcendent power of abiding love and a spiritual life that sustains her despite everything—even when she had no more desire of it, even in the heart of deepest grief. One of the most important books I’ve ever read. Another I think of as required reading. It’s Anne Frank: the Diary of a Young Girl for adults searching for inner peace amid horrific conditions. Any spiritual seeker whose wondered if the Path can be enough to sustain during the most challenging circumstances, must read this book. Etty found peace during oppression and was a ray of light in the concentration camps. Plus she introduced me to Rilke. A beautifully written memoir, that is both soul searching and poetic. One of the first spiritual memoirs I read. It made me appreciate the importance of going on a pilgrimage. This book came my way via a recommendation from Elizabeth Jarrett Andrew, author of Writing the Sacred Journey. It came to me at a moment when I needed a lift. It validated my tough day by reminding me to be gentle for there would be tough challenges, then soothed my disquieted soul with an uplifting impassioned voice of devotion and love. For years I had heard of Maya Angelou and read some of her poems. Finally I read her memoir and found in it an ease talking about all of life, just as it is, including the painful. In the end one is uplifted despite the content. Her honesty and plain speaking allow us to live big and rich despite our flawed lives—and then to write about it too. Like Carlos Castaneda’s books, this book opened my eyes to a new way of seeing and experiencing the world. This book, however, went on to play a fundamental role in my own journey, for shortly after reading it I learned that the author herself would be teaching a shamanic dreaming workshop near to me. I would later accompany her on a rare women’s journey to the Yucatan. 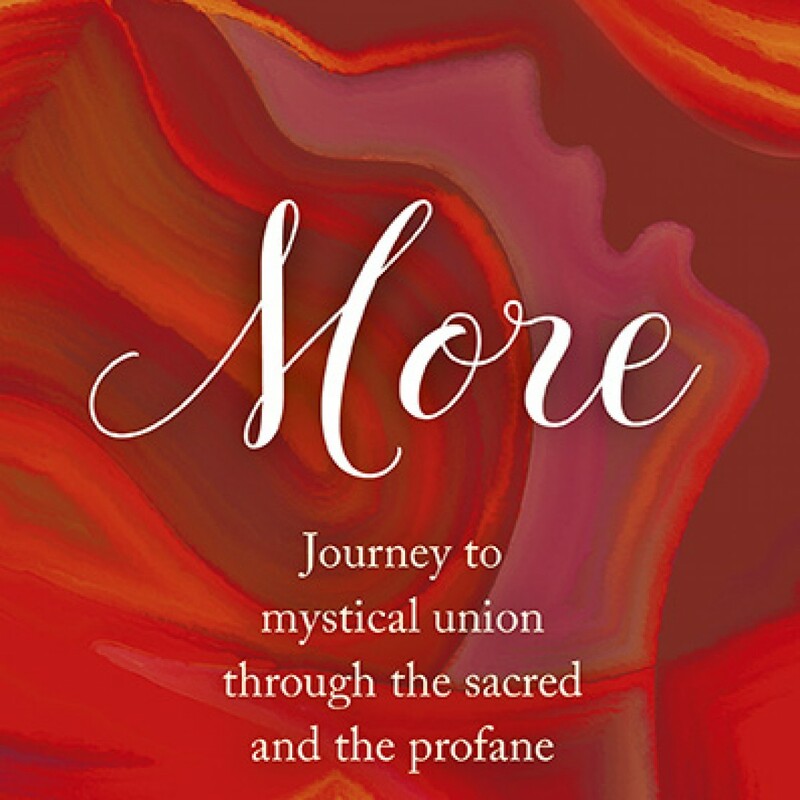 The insights gleaned from those experiences are featured largely in my own memoir, More. What I loved most about this book was the allowing of magic. But I also greatly appreciated the confluence of two different worlds: that of a highly capable attorney and that of an intuitive practicing Wiccan. The two parts collide and collaborate as the author embarks on a search for love and identity coining herself a Tantrika Zen Witch, a term with which I can relate. Other than The Stand, I am not a Stephen King fan per se, but I greatly appreciated this mix of memoir and writing advice—it’s a must read for wannabe authors! Taking on writing a memoir is a bit like deciding to walk the Pacific Crest Trail alone with a massive backpack while recovering from painful memories. It’s an arduous struggle much of the time, but wildly fulfilling and empowering nonetheless and along the way you get to know yourself much better. Strayed shows us both in this wonderful memoir. I read this book many years ago at the start of my own inquiry and still get a warm feeling in my chest when I think about it. It’s ultimately about being happy for no particular reason. After a mystical experience, Simone shares her deepest insights. Simone Weil shows us what it means to introspect deeply and to challenge the dogma and expectations of belief or faith in exchange for a deeper truth. This is a fun memoir about a guy who takes up trapeze at age 60. He talks about the potential for growth and overcoming limitations that it offered him. This memoir helped inspire me to take up rock climbing at age 53. Another college reading assignment, it was fun to see the world from a completely different perspective. This is a wonderful story of the author’s dream to create a natural healing center in the rainforests of Belize. Her farm and practice run into trouble, but then she meets Don Elijio, one of the most respected traditional Mayan medicine men in the rainforest. Her subsequent apprenticeship to him drives him to want to preserve his knowledge. It’s a lovely and inspiring cross-cultural story of friendship and commitment. This one will blow your mind. It is a non-fiction book that reads like a mystery novel and covers Anthropologist Narby’s two years of fieldwork with Amazonian shamans. Are the double serpents seen in ancient mythology double-strands of the DNA helix? Do the shamans who partake of ayahuasca communicate with DNA? What can I say? I love reading true stories about Mayan shamans. They call to my heart and this one did too. And such a beautiful cover! Artwork is by the author himself. I love feeling Crichton’s insatiable curiosity and need to experience things for himself in this book. I love that all the stories are true and that they rival and even surpass the stuff he makes up! This one took me by surprise. Loved it. I read this one aloud, slowly, so compelling was it to hear the few words someone would choose to write when left with only one blinking eye but a drive to communicate and share their experience. Spell-binding! Reading Being Mrs. Smith brought me to the reaches of my own heart. In a lilting, sweet voice one can feel on every page the love that flows between Mr. and Mrs. Smith and on to the rest of us. I watched my own emotions struggle to make things different for them, to “fix” problems as they arose on their adventure and to come to see that all of it was and is imperfectly perfect—a paradox the mind hates, but the heart accepts. Mrs. Smith shows us in Being Mrs. Smith that Love has a song all its own that keeps singing. 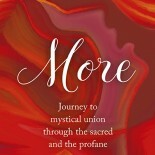 Very helpful descriptions/recommendations for spiritual memoirs. You’ve lengthened my want-to-read list. Wonderful! Let me know if you have any additional suggestions. This is a fascinating list! I will be reading several of those books. Thanks for sharing the titles and with such great descriptions. This entry was posted on June 20, 2016 by Mariah in spiritual memoir, spirituality and tagged enlightenment, self-realization, spiritual memoir, spirituality, Truth, who am I.